R-Tile PVC interlocking floor tiles are used across a variety of industrial and commercial environments, including warehouses that receive a high amount of traffic from people and machines. Interlocking floor tiles have many advantages and in today’s post, Relay Floor Systems Ltd discusses some of these in more detail, providing you with more information about this flooring option. 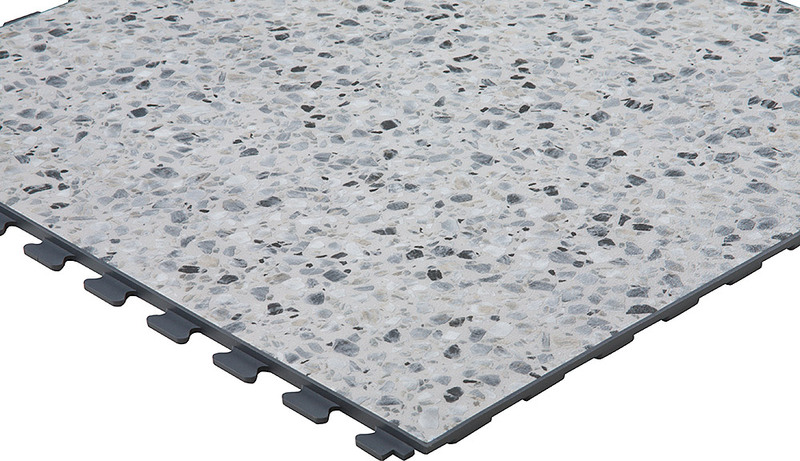 One of the main advantages to interlocking floor tiles is the ease and speed of which they can be installed. As the name suggests, interlocking floor tiles make use of a secure locking system, as opposed to screed, glue or any other binding material. What’s more, the tiles may be installed over existing or even damaged flooring – with certain exceptions – so there is no need to carry out repairs to the substrate before installing. Interlocking floor tiles protect the sub-floor underneath from damage, which could shield you from costly repair bills. Their durable nature means they can withstand heavy traffic whilst giving you peace of mind that your sub-floor is protected. PVC interlocking flooring can be swept and mopped or ideally cleaned with a scrubber dryer machine to ensure a great finish. Your tiles will last many years, but should a certain area become worn and need replacing, you will only need to replace that section of tiles, rather than the entire floor. We proudly supply and fit R-Tile PVC interlocking floor tiles and over the years, have built up a solid reputation for our high-quality customer service. From start to finish, we will fully manage your project, providing you with a comprehensive quote, based on findings from our initial detailed site survey. If you would like more information regarding our wide range of flooring options, we welcome you to contact us. Please call 01543 258889 or send your enquiry through to our online contact form.